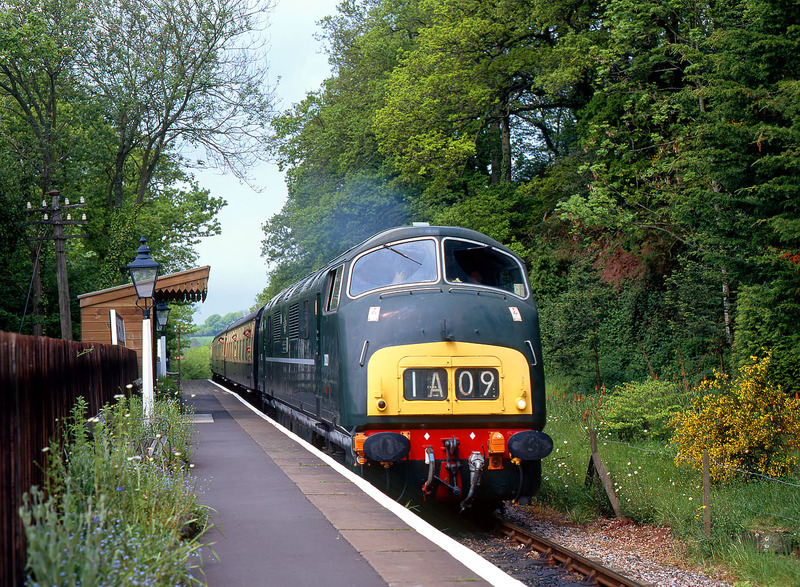 D821 Greyhound passes through Stogumber station on the West Somerset Railway with the 1V25 12:00 Minehead to Bishops Lydeard service on 18 May 1997, during the line's Diesel Gala. Unusually the station building is at ground level on the opposite side of the track to the platform, behind where I am standing. The station was never particularly busy, lying as it does in a predominantly agricultural area on the edge of the Quantock Hills.